When it comes to arguing about the proven and increasingly-lived reality of climate change, deniers have one big asset on their side: climate change is really complex and slow. It affects different parts of the world differently, and in ways that can be very unexpected. This is because the earth’s climate is big and complex; in fact, one could say it is all-encompassing. But that can make it easy for deniers. They can sneer and say things like “Oh, so climate change makes it hot some places and cold in other places? That’s really convenient.” They also sneer about how “climate change” replaced “global warming”, as if scientists were caught in a lie and so changed the name; as if no one was saying that global warming would change the climate. A simple lie is easier to digest than a complex truth. Anyway, this is to say that if you don’t believe in climate change, this post is good fodder for your argument. NEW ORLEANS — Heavy weekend rainfall in New Orleans overwhelmed the municipal pump stations, leaving parts of the community flooded, and some officials say they’re not satisfied with the city’s response. What indeed? Now, heavy rain can’t be blamed on global warming, nor can hurricanes. But the intensity of both is modeled to increase as the oceans heat up. That’s not conspiracy or far-fetched. Even the dimmest denier admits that there is such a thing as “hurricane season”, and it isn’t when the water is coldest. This just highlights the dangers of climate change in our most vulnerable cities, and our lack of preparation in how to mitigate its effects. We know that climate change is going to hit hardest in poorer countries ill-equipped to handle environmental and demographic shifts. But it will happen in America too. And our politics, indeed our culture, rarely gives precedence to the poorest and most vulnerable. Except poor Gulf communities, black and white (but especially black) to be decimated. Even with good planning, water can and will overwhelm. We don’t invest in infrastructure, and we don’t take care of what we have. As a species, we’re spectacularly ill-equipped to handle enormous issues. As a wild and fragmented democracy, America might be especially ill-suited for it. That just means we have to keep fighting, though. HELENA, Mont. (AP) — The drought plaguing eastern Montana and much of North and South Dakota came on quickly and is intensifying, leading ranchers to sell their cattle and farmers to harvest early whatever crops that have grown so far this summer. Now, 62 percent of North Dakota, more than half of South Dakota and 40 percent of Montana are in severe, extreme or exceptional drought, according to the drought monitor’s weekly report released Thursday. There are also pockets of drought in the Southern Plain states of Nebraska, Iowa, Oklahoma and Texas. In Montana, 12 percent of the state’s land is experiencing “exceptional drought,” meaning widespread crop and pasture losses and water-shortage emergencies, mainly in the northeastern part of the state. 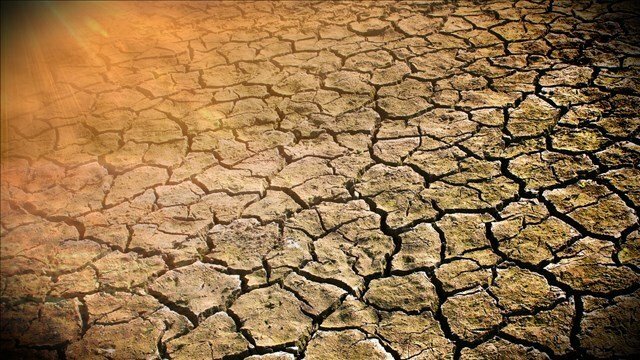 “We would expect to see conditions that bad once or twice in 100 years,” said Deborah Bathke, a climatologist at the University of Nebraska-Lincoln’s National Drought Mitigation Center and a co-author of the drought monitor. I’ve never heard the terms “flash drought”, or “exceptional drought” before, but, like “hydro-political strife”, is just another one of those damn things we’ll have to get used to. These are baking regions, and are prone to drought, and we (as a political entity working together, through the government), worked to transform them from arid to arable. And it worked! But like the high-water mark of the Colorado, it won’t last forever. It couldn’t last forever. And climate change will accelerate that, with unknown political, economic, and agricultural impact. The Secretary of Homeland Security has determined, pursuant to law, that it is necessary to waive certain laws, regulations and other legal requirements in order to ensure the expeditious construction of barriers and roads in the vicinity of the international land border of the United States near the city of San Diego in the state of California. Yup. In one of his last acts as DHS head, General Kelly (who is a Wise and Steadying Hand, remember) waived the need to study environmental impacts of a border wall. This isn’t the whole wall, of course. But it sets an precedent. 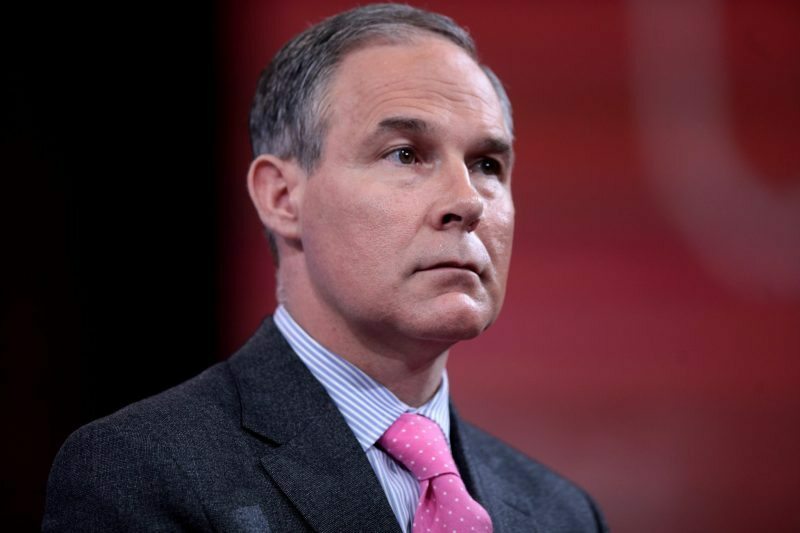 Trump’s wall will be (among many other things) a potential environmental disaster. It’s going to be in the middle of a floodplain, which, as we’ve emphasized, doesn’t care who is in the White House, or what a “Mexico” is. Everyone involved in the wall, advocates like Kelly included, know that it is a political disaster. Now they don’t even want to know if it will be an environmental one. The rush to get it up is as unseemly as its end goal. But that it could be a disaster on the enviornment has to be seen, for these jackals, as a feature. Here’s the term you are going to need to know in the next part of your life and the life of the planet: hydro-political strife. From Science Daily. More than 1,400 new dams or water diversion projects are planned or already under construction and many of them are on rivers flowing through multiple nations, fueling the potential for increased water conflict between some countries. A new analysis commissioned by the United Nations uses a comprehensive combination of social, economic, political and environmental factors to identify areas around the world most at-risk for “hydro-political” strife. This river basins study was part of the U.N.’s Transboundary Waters Assessment Program. Researchers from the United States, Spain and Chile took part in the analysis, which has been recommended by the U.N. Economic Commission for Europe as an indicator for the U.N.’s sustainable development goals for water cooperation. Results of the study have just been published in the journal Global Environment Change. The analysis suggests that risks for conflict are projected to increase over the next 15 to 30 years in four hotspot regions — the Middle East, central Asia, the Ganges-Brahmaputra-Meghna basin, and the Orange and Limpopo basins in southern Africa. Whomever controls the water has enormous power over their neighbors. It’s a pretty terrifying situation when you think about it: just because your weird and arbitrary border has a river in it, you get to control the lives of people across that line? You can divert it, shunt it, dam it and drain it? But really, that’s the way it always has been. America, of course, has its fair share of problems with that, like how we pretty much shut off the Colorado from Mexico (a situation that has been slowly and promisingly remediated, though no one knows what a Trump presidency will do to it). That’s the way it has always been, sure, with resources being the reason for and tool of war, but that doesn’t mean we’re not entering scary new times. There are more people and less water. Climate change is going to be scything across the globe like a whirlwinded Queen of Hearts. Resources will be hoarded and dams will lead to war. An irrigation ditch can be a casus belli. We all know that in the 21st-century, water is war. But I don’t think people recognize just how hair-trigger and volatile it is going to be. Think of how complex the Waukesha Diversion was. And how peaceful it was. Now imagine how difficult and fraught diversion negotiations will be when it is the life and death of a nation at stake. Think of how easy it will be to boil over into violence. Think of how that has happened in America’s past. That’s tomorrow’s world. Unless we actually come up with a legitimate mechanism for handling these situations, which means a de facto dissolving of some measures of national sovereignty, there is no chance. It’s going to be 90 and humid in Chicago tomorrow. Ugh. But, relatively, I don’t feel too bad. July 10 (UPI) — New analysis of Iranian stalagmites have offered a detailed history of water resources in the region. 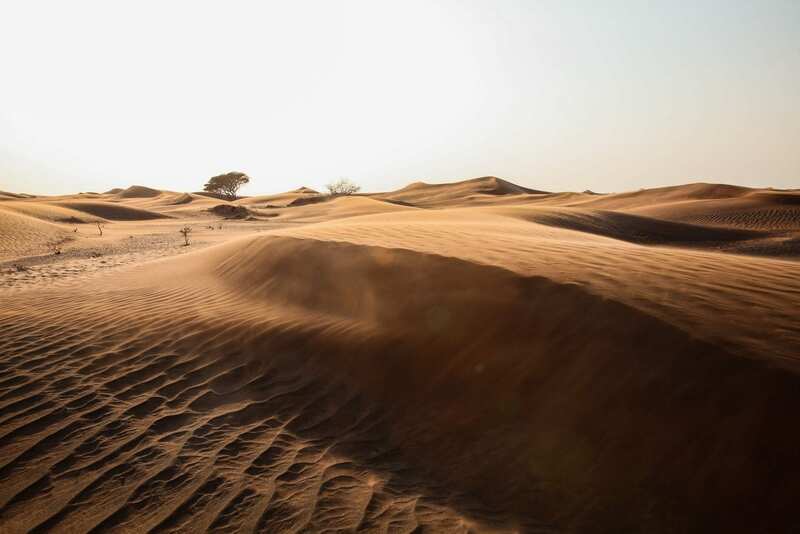 The findings suggest the Middle East is unlikely to enjoy a relief from its prolonged drought for at least another 10,000 years. The newest analysis — detailed this week in the journal Quaternary Science Reviews — helped scientists estimate water availability during the last glacial and interglacial periods. The findings suggest water in the Middle East is likely to remain scarce for some time. We’ve talked about how drought has helped to create and sustain the wars and conflicts in Syria, Yemen, and other areas. That is connected to this. The immediate droughts are, I think, part of the larger pattern, or a dip in a permanent decline (permanent on a civilizational level). This kind of drought is to be expected in an interglacial period, as the study says. The problem, of course, is that we didn’t know we were in an interglacial period, and so built civilizations as if everything was going to stay the same forever. It didn’t, of course. Mesopotamia was once verdant, but it got used up, made into a harsh desert by human shirt-sightedness, made worse by the normal shifting of rivers, made worse by the normal planetary rhythms, and made worse by war, and made catastrophically worse by the acceleration of climate change. Indeed: A number of climate models have previously predicted much of the Middle East will become too hot and dry to sustain large human populations by the end of the century. This is why it is so irritating when dummies say “the world has always been changing, so don’t worry about climate change!” Yes, it is true, the world has always been changing. But what they miss is that when it changes this much, it is catastrophically bad for living things. And what they miss is that these natural changes, like the drought patterns in the Middle East during interglacial periods, happen on an inhuman time scale, which means that we’ve built our civilizations in ignorance of their impact. And then we accelerate their impact with the very product of our civilization. It’s making everything incredibly worse. It’s like pointing to a map of Pangea and sneering that “the continents are always moving!” while turning on your earthquake machine. The planet that might not actually be conducive to our existence, long-term. We’re in the glacial flicker, and thought it would be permanent. All of our actions over the last few centuries–and really, all of our existence–have made that existence less tenable. (For further reading on just how bad it can get, read David Wallace-Wells’ remarkable and remarkably depressing NYMag article “The Uninhabitable Earth.” Maybe not everything he says will come true (and he’s not saying it all will). But a lot of this is inevitable. This man is literally evil. You know what doesn’t care about how you like sticking it to liberal scientists? The planet.